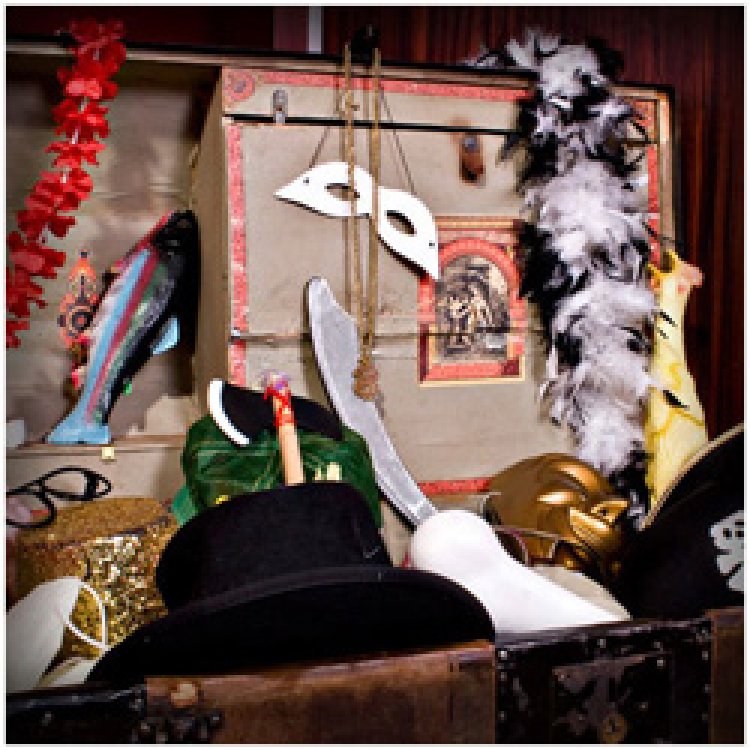 This treasure trove of fun accessories and costuming is included with the Photobooth, but is an add-on option with the Photo Grafitti Wall or Touch. Includes a staff person to keep it organized and humming along. Includes a costuming assistant when used with Wall or Touch. Features an assortment of fun accessories.